Ole Gunnar Solskjaer has finally got his heart’s desire, as Manchester United named him the full-time gaffer on Thursday. The signing will be a crucial one for the club’s future, as they look to properly rebuild themselves after the many attempted reigns post-Sir Alex Ferguson. Despite his relative success so far, the path forward won’t be a rosy one for the Norwegian. Let us have a look at a few problems he’ll have to solve to truly stamp his presence at the Theatre of Dreams. United rely strongly on their top stars. While the merit of this is up for debate, one player who they are clearly indebted to is David De Gea. The Spanish international has been mulling over his contract for a while. This comes at a time when Real Madrid and Zinedine Zidane may offer a convincing deal to the shot-stopper. For Solskjaer to rest well at United, he must do all that he can to seal De Gea’s future at the club. This has to preferably be done before the end of this season itself, as past precedent has already shown that uncertain players don’t mean well at the crucial pre-season juncture. Interestingly, one of the easiest ways he can achieve this is by selling one talent in particular. This is clearly the standout woe at United, and has been the case for a while now. The hard work of a rather creative frontline has often been undone by a sloppy defense. While Victor Lindelof has certainly injected much hope at the back this season, their display has been far from world-class. First things first, a world-class defender, who is a true leader at the back, needs to arrive soon. United have lacked such a presence for quite a while now, and that may be linked to a decent chunk of their issues. Secondly, a right-back must arrive as well. Even though Diogo Dalot was signed earlier this summer, his relative young age makes him far from an apt signing at this point. An error that both Jose Mourinho and Louis Van Gaal have been guilty of. While it is undeniably tempting to make the best of the squad at hand, sometimes a pragmatic choice demands to be met. Matteo Darmian, Marcos Rojo, Ashley Young, and Alexis Sanchez are all players that must be cleared off the wage bill in the summer. The Chilean, in particular, is causing more problems than one with his ridiculous weekly package. By getting rid of him, much cash can be secured, while the De Gea saga may also be granted some respite. 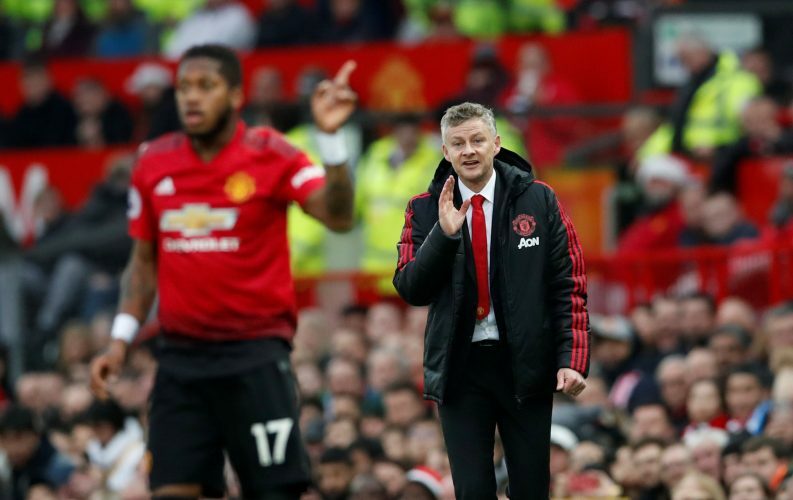 It is almost certain at this point that Ole Gunnar Solskjaer will be handed a tremendous amount of funds for his transfer war chest. However, it will all be in naught if the marquee signing that arrives isn’t worthwhile. With Louis Van Gaal, it was the signing of Angel Di Maria that didn’t work out, while Jose Mourinho didn’t see immediate success with Paul Pogba either. It is paramount for Solskjaer to make a thoughtful big signing, and that too of a player that Old Trafford needs. Will that be the €90 million-rated Jadon Sancho, or the ever elusive Koulibaly for €100 million? This one is a no-brainer. Paul Pogba was signed to remain for well over a decade. Now, with Zinedine Zidane and Real Madrid potentially putting in a tempting offer, the ball is in Solskjaer’s court. He must do his best to convince Pogba to stay. The French midfielder has been a potent weapon of the baby-faced assassin. Under Solskjaer, Pogba has truly been deployed in a manner wherein the team has been built around him. Solskjaer must convince the superstar that this trend will continue. United simply cannot lose their prodigal son again.